Douglas G. Murken left his native Philadelphia, after graduating from Cornell University, in search of his California dream of being an attorney in San Francisco. He attended Golden Gate University School of Law and was admitted to the bar in November 1979. Doug’s practice focuses on taxation, business transactions and real estate transactions. “We grew the law firm based on the tax preparation business Monroe started after his employment as an IRS auditor”. Doug has prepared thousands of personal income tax returns, and represented clients in IRS audits, in Franchise Tax Board audits, before the IRS Appeals Division, in the U.S. Tax Court, in the U.S. District Court, and before the California State Board of Equalization. “The business and real estate work was a natural extension of my tax practice.” Doug forms corporations, partnerships and limited liability companies for his clients on a regular basis. He also prepares contracts for his business clients. Doug routinely reviews real estate purchase/sale agreements, and commercial leases. 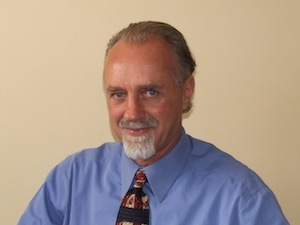 He serves as general counsel for several Bay Area businesses. Doug’s litigation practice is now limited to tax cases. Earlier in his career he successfully litigated personal injury, construction defect, breach of contract and pension benefits cases. He won jury trials in federal and state court. He’s earned an AV rating from his peers, the top professional legal rating under the Martindale Hubbell rating system. “My greatest satisfaction as an attorney comes from working with people, especially when it involves solving a problem or easing a burden. I’ve had the good fortune of knowing the vast majority of my clients for more than ten years, many for more than twenty, and some for more than thirty. Most of my attorney-client relationships feel more like a friendship than a business transaction”. Doug is a member of the State Bar of California, the San Francisco Bar Association, and the Business Law Section of the California State Bar.